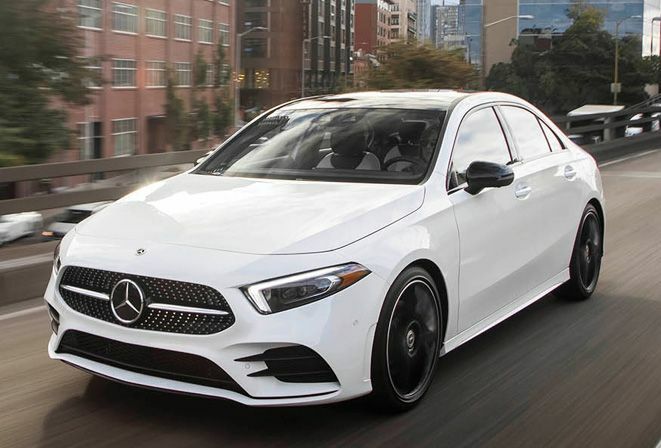 Mercedes-Benz’s new entry-level sedan “does a surprisingly good impression of a much more expensive car.” Though “a little dull” in its exterior styling, the A220 drives like a luxury vehicle in a way the similarly priced CLA-class never did, and it “legitimately looks the part” from any of its four seats. “Everything you touch feels high-quality,” and even the lowest-priced edition is packed with features, including an impressive voice-command system. “Dynamically, the baby Benz resembles top-tier sport compacts like the Volkswagen Golf.” Though its turbocharged four-cylinder engine generates only 188 hp, “throttle response is excellent,” and the A220 reaches 60 mph in just 6.1 seconds. It’s also surprisingly roomy compared with the slightly longer CLA, offering “substantially greater” headroom and legroom in both rows.